I have customers all over the world and I love knowing they are wearing my handmade jewelry and it is making them happy. I live in serene, Rockleigh NJ (on the Border of NY and NJ) I make every piece by hand, one by one, in my NJ home studio. My backyard is actually NY! In the Summer. I move my studio to Manasquan on the Jersey shore. I am also a pediatric physical therapist and for a long time, jewelry making was a hobby. Things have changed and today I am a volunteer PT and full time jewelry maker. I may not put on makeup every day, but I would never start the day without jewelry. I started making jewelry as a fun, part-time hobby. 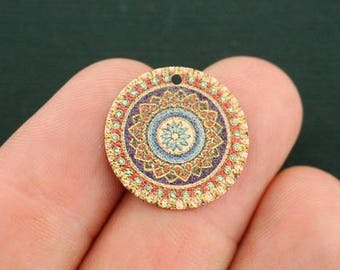 I am a history- nerd and when I discovered antique wax seal stamps, my life-long obsession with jewelry, met its definitive match Using these stamps, antique or ancient relics to make jewelry became the perfect melding of my love of history with my favorite creative endeavor! Oh ~ what stories these antique wax seals must have to tell. As I mentioned, before my jewelry-life, I was a pediatric PT. You never know what is around the corner in life and I became unable to meet the physical demands of being a PT. I am so lucky I had been building my skills as a jewelry maker, never dreaming I would need to give up my PT career and make my living in a whole new way one day. So, I began a new life as a full-time jewelry maker; not imagining how much there was to learn about running an online business! I never even knew what a "Tweet" was. I had to educate myself in the weird world of social media and internet marketing to sell jewelry; never mind the daunting challenges of navigating Etsy; and oh yeah, becoming a skilled jeweler! I am blessed and lucky to make a living doing something I absolutely love… twice! Today, I've merged formal jewelry technique training with my early, roughly honed techniques to develop a style that reflects who I am and makes me and my customers really happy!
" perfectly imperfect" and "meticulously rough around the edges." I purchase certain types of clasps, ear wires, gemstones, ribbon, and bulk chain from jewelry supply companies; most right here on Etsy. However, these "findings" are used solely as ancillary parts of my handmade jewelry. The majority of my business comes from custom orders and repeat customers. The more I get to know my customer and engage them in the design process, the more their piece of jewelry becomes part of them. Good business is built on a foundation of relationships and returning customers. Therefore, I deliver the best possible shopping experience to you. From our first contact, I am dedicated to your satisfaction. My quality products and personal, exceptional customer treatment is what will take me to my goal of becoming the shop where my customers go for their "Daily Jewels". *I use only recycled metals.With recycled metals, the negative impact on the environment during mining, and the potential for human rights abuse and poor or dangerous working conditions is eliminated. I work in reclaimed sterling silver* I have an ardent passion for 18th and 19th-century history and collect artifacts to re-use in my jewelry crafting. I purchase US mined gemstones from Fair Trade businesses that commit to fair wages, cooperative workplaces, consumer education, environmental sustainability, respect for cultural identity, and public accountability. I am proud to be a member of one of the most prominent jewelry teams on Etsy, The "JETS" or Jewelry on Etsy Team. Search "Jetteam" for items from our 80 members. Please be sure to click the HEART on page one of the shop and make my shop one of your "favorites". If you use the Etsy App you will receive coupons and daily specials from me every few days. You can also visit my BLOG where I talk a lot about wax seals and lots of other stuff! I sold for many years on EBAY. Etsy is a much friendlier environment. 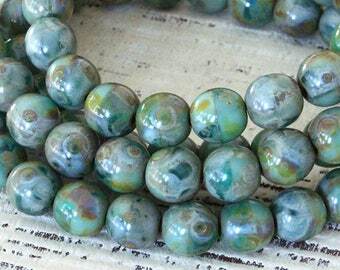 10mm Rondelle Shaped Blue Lava Rock Beads - 15" Strand (Approx. 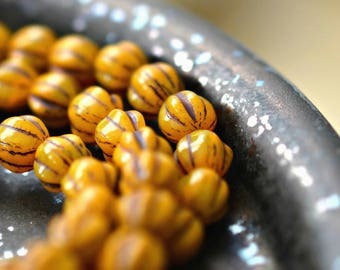 41 Beads) - Volcanic Stone - Other Shapes Available, See Related Items!